Parents will get twice as large of a tax credit for each child next year, under a compromise hammered out by the House and Senate Friday — although other changes to the bill mitigate the impact of that tax break. The GOP's tax overhaul bill doubles the current child tax credit from $1,000 to $2,000 per child under age 17, and allows parents to receive up to $1,400 as a refund, if the credit is larger than their federal income tax liability. 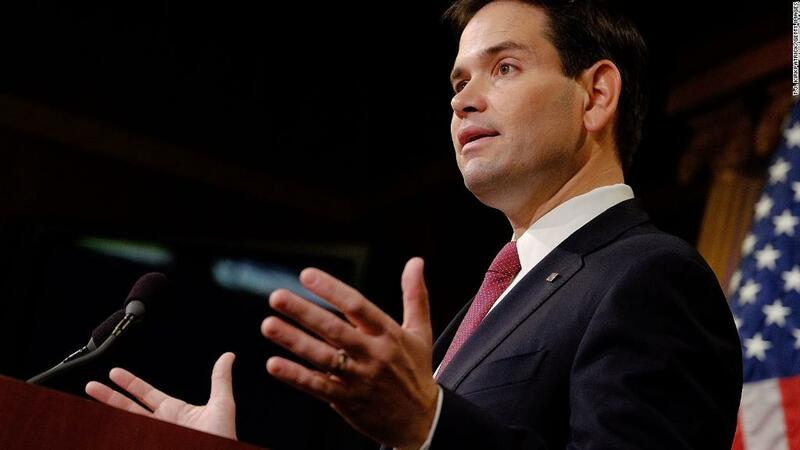 The refundable part of the credit was increased from $1,100 to $1,400 after Senator Marco Rubio threatened to vote "no" on the bill, unless it included a more generous child tax credit. Currently, the child tax credit is $1,000 and only partially refundable. Tax filers can only claim refunds on a percentage of what they make over $3,000, which limits benefits for the lowest-wage households. The Center on Budget and Policy Priorities, a left-leaning think tank in Washington D.C., calculated that parents of 10 million children would qualify for an additional refund of just $75 or less under the committee's deal. That's the same impact as the Senate's original bill. The latest version of bill also makes the child tax credit available to high earners because it raises the income threshold under which filers may claim the full credit to $200,000 for single parents, up from $75,000 today; and to $400,000 for married couples, up from $110,000. But when other provisions are taken into account, the tax bill isn't so rosy for many moms and dads. The GOP's bill does away with the deduction for personal exemptions, which could offset the benefit of the beefed up child tax credit for some families. Currently, filers are able to deduct $4,050 for themselves, their spouses and for each dependent. For a family of four, that means $16,200 is shielded from federal taxation. In addition to the current standard deduction of $6,350, up to $28,900 goes tax-free. The benefit phases out at higher income levels. The latest tax bill doubles the standard deduction to $24,000, but wipes out the deduction for personal exemptions, meaning that larger families will get less of a break. "The distribution of those benefits are skewed towards higher income families, and really paltry for lower income families," says Vicki Shabo, vice president at the National Partnership for Women and Families. "The overall package is really dismal for working families." Shabo says the inclusion of a tax credit for employers who offer paid family leave to their workers may sound nice, but it only subsidizes those who've already decided to adopt such a policy. Since the credit ends in 2019, she says it won't incentivize many more employers to participate. In addition, the GOP's latest tax bill contains bad news for undocumented immigrant families. The final version keeps a provision that requires filers using an Individual Taxpayer Identification Number (ITIN) to provide Social Security numbers for each child in order to qualify for the credit. ITINs are mostly issued to undocumented immigrants. In 2013, 4.4 million ITIN filers claimed child tax credits worth $6 billion, according to the Government Accountability Office. The latest change will affect about one million undocumented children, CBPP calculates. The House version of the tax bill had also tightened eligibility for undocumented immigrants who claim the Earned Income Tax Credit and another credit for higher education expenses, but those provisions didn't make it into the final bill. The compromise bill preserves the Child and Dependent Care Tax Credit and the Adoption Credit, which had been eliminated in earlier versions of the legislation.